The objective of the leaching experiment was to determine if heavy metals; Cadmium (Cd), Lead (Pb), Mercury (Hg) and Barium (Ba), were extracted from the plastic materials listed in Table 1 after being separately immersed in distilled water and 50%v (by volume) ethyl alcohol for six months at room temperature. Samples of plastics were conditioned to constant weight at room temperature, placed in individual labeled glass jars containing 250 milliliters of solvent (distilled water or 50%v ethyl alcohol), sealed and were allowed to remain undisturbed for six months. There were sixteen jars in this experiment, eight contained distilled water (“A” samples) and eight contained 50%v ethyl alcohol (“B” samples). After six months the plastic samples were individually removed from the jars. The jars were again sealed and submitted to the Analytical Chemistry Laboratory at Artech Testing, L.L.C., 14554 Lee Road, Chantilly, VA 20151-1639 (Tel .703-378-7263). The liquid in each jar was analyzed for Cadmium (Cd), Lead (Pb), Mercury (Hg) and Barium (Ba). In addition, samples taken from the original solvents used in this experiment, distilled water and ethyl alcohol (100% or 200 proof) were analyzed for Cadmium, Lead, Mercury and Barium. All liquid samples were analyzed by atomic absorption spectroscopy (AAS) using a Buck Model 200A instrument. A single injection into a cold vapor accessory was used for the Mercury determination. Mercury was measured in accordance with the EPA Method 7470A which has a detection limit of 0.2 micrograms per liter (ppb). The EPA Method 7130, with a detection limit of 5 micrograms per liter (ppb) was used in the analysis for Cadmium. The analysis for Lead was conducted in accordance with the EPA Method 7420 which has a detection limit of 100 1 micrograms per liter (ppb). Barium was analyzed in accordance with EPA Method 7080A which has a detection limit of 100 micrograms per liter (ppb). None of the metals were present in any of the submitted liquid samples or in the original solvents at or above the detection limit. · Table 7-1: Maxirnum Concentration of Contaminants for Toxicity Characteristic. Revision 2, September 1994, pp. 17-18. After soaking at room temperature, in distilled water or 50%v ethyl alcohol for six months in a sealed glass jar, no Cadmium, Lead, Mercury or Barium was extracted from the plastic samples listed in Table 1 as determined by the prescribed EPA analytical methodology, down to the detection limits at the parts per billion (ppb) level. The report from the Analytical Chemistry Laboratory, including the analytical results for each of the liquid samples analyzed as well as the two original solvents used in the experiment, is attached. 1If o-, m-, and p-cresol concentrations cannot be differentiated, the total cresol (D026) concentration is used. The regulatory level of total cresol is 200 mg/L. 2Quantitation limit is greater than the calculated regulatory level. The quantitation limit therefore becomes the regulatory level. Eighteen samples of liquid were submitted to ARTECH for determination of the levels of Cadmium (Cd), Lead (Pb), Mercury (Hg) and Barium (Ba) present. The samples were analyzed using a Buck Model 200A Atomic Absorption Spectrophotometer (AAS). The Mercury determination required the used of a Cold Vapor accessory with the AAS. Barium was analyzed in accordance with EPA Method 7080A which has a detection limit of 100 micrograms per liter (ppb). Cadmium was analyzed in accordance with EPA Method 7130 which has a detection limit of five micrograms per liter (ppb). Lead was analyzed in accordance with EPA Method 7420 which has a detection limit of 100 micrograms per liter (ppb). Mercury was analyzed in accordance with EPA Method 7470A which has a detection limit of 0.2 micrograms per liter (ppb). The results for Cd, Pb and Ba were measured from an average of six readings. Hg was measured using a single injection into the Cold Vapor accessory. None of the analyses were present in any of the samples at or above the detection limit. If ARTECH can be of any further assistance, on this or other matters, please contact us at any time. Eighteen samples of liquid were submitted to ARTECH for determination of the levels of Cadmium (Cd), Lead (Pb), Mercury (Hg) and Barium (Ba) present. The samples were analyzed using a Buck Model 200A Atomic Absorption Spectrophotometer (AAS). The Mercury determination required the used of a Cold Vapor accessory with the AAS. Barium was analyzed in accordance with EPA Method 7080A which has a detection limit of 100 micrograms per liter (ppb). Cadmium was analyzed in accordance with EPA Method 7130 which has a detection limit of five micrograms per liter (ppb). Lead was analyzed in accordance with EPA Method 7420 which has a detection limit of 100 micrograms per liter (ppb). Mercury was analyzed in accordance with EPA Method 7470A which has detection limit of 0.2 micrograms per liter (ppb). The results for Cd, Pb and Ba were measured from an average of six readings. Hg was measured using a single injection into the Cold Vapor accessory. None of the analyses were present in any of the samples at or above the detection limit. The Maximum Concentration of Contaminants for Toxicity Characteristics from EPA SW-846 allowed for the elements analyzed is 100.0 milligrams per liter (ppm) for Barium, 1.0 milligrams per liter (ppm) for Cadmium, 5.0 milligrams per liter (ppm) for Lead and 0.2 milligrams per liter (ppm) for Mercury. A copy of Table 7-1 (Maximum Concentration of Contaminants for Toxicity Characteristic)is enclosed. A table of the individual results is also attached. 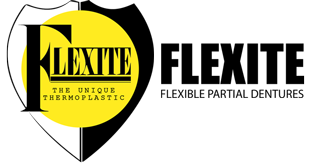 Flexite has many unique thermoplastics for flexible partials, dentures, tmj’s, bruxism, anti snore-sleep apnea devices, cosmetic veneers, provisional splints and mouth guards. Copyright © 2014 Flexite Company. All rights reserved.